When I flew home for Memorial Day, I had a pretty extensive layover in the Philadelphia airport, so I walked it. End-to-end. Through the “hall of international arrivals” and by The Supremes art exhibit. I also discovered this gem by Lauren Dombrowiak, a ceramic artist. 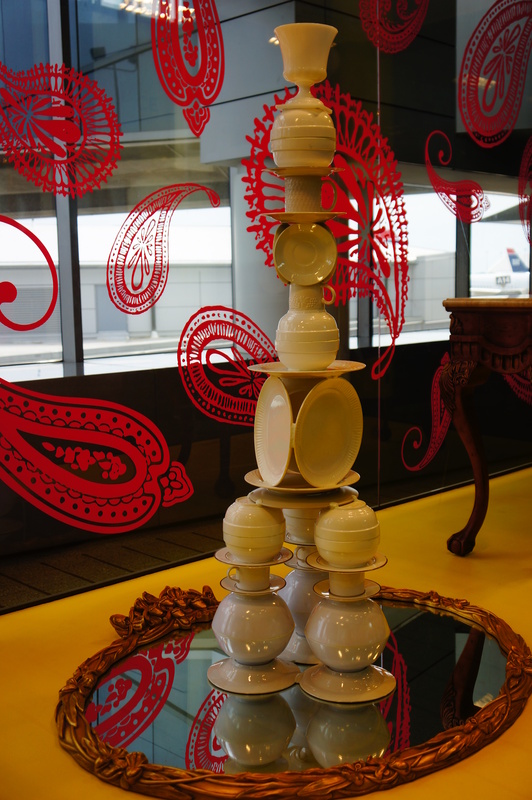 I love the use of domestic and lovely items such as cups and saucers to create towering edifices and art. I am also a sucker for China – and love the gold rimmed saucers… which are artful enough on their own. And while I am no art expert, to me this is about taking something with an expected function and turning it into something much more. Perhaps a more refined version of “when life gives you lemons”. Either way, it says something about triumph and creativity. And I really like it.